Because your meetings are pin-less, you rarely might find someone joins your meeting uninvited! Should you need to remove a guest, this can be done if you access the meeting by the Web. 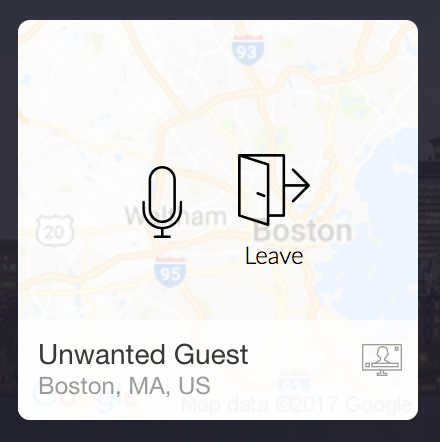 If you hover over the guest, you can click the Leave button. Sorry your meeting has now ended. Don't forget, you can always lock your meetings once you have everyone in!